With Trinity Term almost upon us we thought it’d be a great time to share some of the different training opportunities available to develop and hone your public engagement and science communication skills, and also provide the chance to hear about new and innovative approaches to public engagement. All of the below courses are free to attend and are open to DPhil students, ECRs and other University staff from MPLS and MSD (unless otherwise stated). Click on the title for more information and how to register. Scroll to the bottom for details on one-to-one sessions you can book with our Public Engagement guru, Michaela! *Narrative skills – Save the date, registration opening soon. You can attend Public Engagement surgery hours most Tuesday afternoons or Friday mornings to get support and advice about public engagement activities or projects you’re doing. Visit the website and find an available slot, then email Michaela Livingstone. Oxford Research Services have arranged for a representative of ResearchProfessional.com to hold divisional ResearchProfessional demos for the MPLS division. ResearchProfessional.com is the online research funding information service to which the University subscribes, and so all current Oxford staff and students with a valid ox.ac.uk email address can use this service. It is an invaluable resource in locating funding opportunities that fit your individual needs and can be used to create subscriptions for when new calls arise. This is ideal for Oxford post-graduates/post-doctoral staff, academics/contract researchers, research support staff, and anyone else interested in finding research funding in the Mathematical, Physical and Life Sciences. The event is free, but participants will need to register via the link below. Location: Large Lecture Theatre, Plant Sciences, South Parks Road (map). The 4th Annual Cancer Research UK (CRUK) symposium has been arranged, giving opportunity to showcase the breadth of activity across the Centre in Oxford, and highlight the cross-departmental or interdisciplinary partnerships supporting translational cancer research. Speakers will showcase their collaborative research in Oxford across a range of cancer related paired talks, making it a valuable day for all involved. The Symposium is an ideal venue to network, and often sparks new opportunities for partnership. It provides a platform to highlight younger scientists through poster competitions, alongside presentations from Centre-funded students. Registration for the Centre’s Annual Symposium is exclusive to Centre members, and registration for tickets, which includes access to the evening reception, is free. To participate in the day, 300 word Abstracts are requested covering Research background, methods, results, conclusions, acknowledgment of sources of funding or any conflicts of interest. 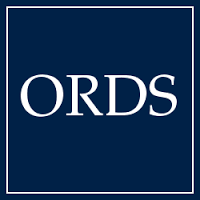 The Online Research Database Service (ORDS) is a is a new service for researchers based at the University of Oxford, having been developed in-house by IT Services. It is a free, centrally supported service for University of Oxford researchers and their collaborators, designed to make it easy to create, edit, search, and share research databases online. The ORDS is a web-based, cloud-hosted service. It enables easy collaboration, as multiple editors can work on a single database. Access controls enable project owners to choose who has permission to do what. Besides creating databases from scratch, researchers can also import existing data from Access databases, from spreadsheets, or from SQL database files, enabling old data to take on a new lease of life. Data in the ORDS can be exported in common formats for analysis, sharing and archiving. Description: This programme is designed to develop an individual’s skills as a research team leader, at a time when they may be new to leadership. The two-day programme has the added value of developing a community of leaders who can share and debate research issues together. Who is it for? This programme is for lecturers, senior lecturers or readers, who have recently been appointed as principal investigators or who are currently leading small research teams. Description: This programme is designed to develop your ability to address the challenges involved in leading other research team leaders and of managing significant research projects. On this programme you will have the opportunity to practice some of the essential skills required for this role, reflect upon your personal approach to research leadership and exchange ideas with colleagues engaged in a similar role. Who is it for? This programme is for research active academics who are likely to have significant operational leadership responsibility, in addition to their own role as a research team leader.